A Wookie is probably the best sidekick a person could have. And now you can have one for each foot! 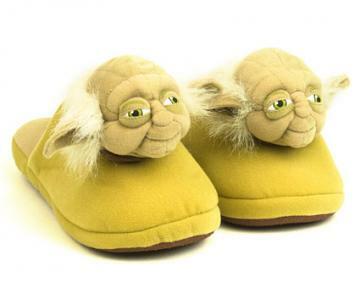 Unlike those droids, these are the slippers you're looking for. 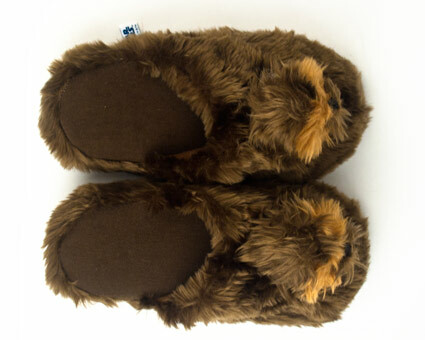 These wonderfully furry slippers are as warm and cuddly as Chewbacca himself, except the slippers won't rip your arms off if they lose in a game of space-chess. Plus, you can yawn and make incoherent grunting noises to pretend your feet are talking to one another. 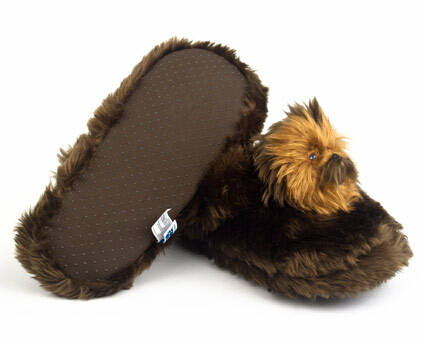 If your toes sometimes feel like they're frozen in carbonite, you'll love the comfy warmth of these slippers! Rrrrrrr-ghghghghgh! 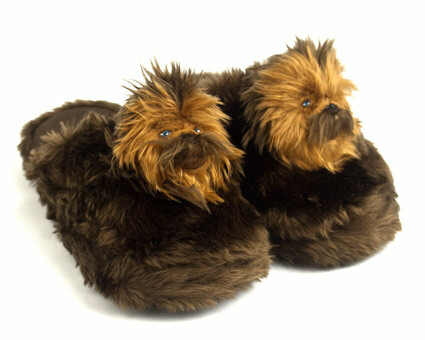 These are great slippers. "cosey"is the word my grandson used. Amazing and showed up very fast! I was also able to change my order before they shipped no problem and it did not delay my order at all. Disadvantages: Wish they had a closed back, like a shoe, but really cute! these slippers are very cute but there is not enough cushion. They were so timely (With the most recent Star Wars mania) and hard to find! Very cute and comfortable, too! My review is for the most part not on the individual slippers I bought (although we all like them very much), but on the excellent service. 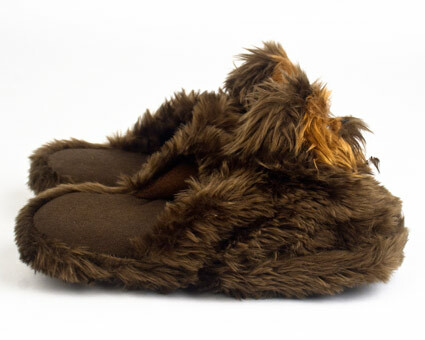 I ordered thee slippers December 12th, and got the note that they would arrive in 2 à 3 weeks to deliver them to me in Belgium. Which was a bit of a setback since I had planned to give them as x-mas presents. Only 12 days later, on the 24th, the postal delivery dropped them of, just in time to wrap them and lay them under the tree. I can say this wasn't the first time, our previous order from bunnyslippers.com came also a week earlier then expected. I know that it was not only you but probably also American postal service I need to thank for this, but still I appreciate it very much that you deliveries come faster then expected. I don't know what it is, but I found these to be compelling. The Chewie heads are something to behold. Fast shipping too. These wookies look more somber than I thought they’d look, I guess that makes sense because it’s been many years since Chewy’s been to his home planet of Kashyyyk. 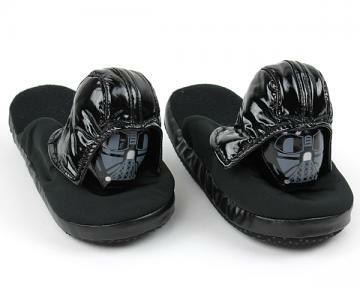 Any true Star Wars fan would appreciate these slippers. I wouldn’t want to wait for J.J. Abrams’s Episode VII in anything else. I’d recommend these to anyone strong with the Force.